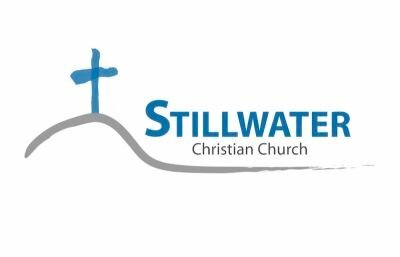 One of the core values at Stillwater Christian Church is worship–using our every breath in whatever we do for God’s glory and purpose. We desire to equip our people to live a life of worship, wherever they live, work, study, play or shop. Living in close relationship with God is an awesome and humbling privilege that we encourage at every opportunity. The worship ministry seeks to enhance that relationship by giving our people an opportunity to praise God together in a weekend worship environment, and then sending them out to be God’s hands and feet the other 99% of the week. We want worship to be simple. Accessible. Singing to God with a sincere heart does not have or need to be complex. With that said there is a certain level of preparation, planning, and practice that goes into making each and every worship service simple. Because of this, there is a certain level of commitment that is required from the worship team that exceeds other ministries. This commitment can take on many forms. Here are a few practical areas where level of commitment is most evident. Spiritual Preparation: Worship on a platform is the overflow of a lifestyle of worship and a heart that is well-cultivated throughout the week. Personal spiritual intimacy with Jesus is our FIRST priority. One hour on a Sunday morning is a mere .6% of a week. If the only time you “worship” is .6% of your week, something is wrong. How can we lead people where we haven’t gone ourselves? Musical Preparation: Rehearsals are infinitely smoother when everyone has listened to, practiced with and memorized the scheduled music. Being prepared also means having any gear or equipment that you intend to use on Sunday with you for practice (lyric sheets or chord charts are provided on Planning Center Online – more on this later). Unless otherwise posted, you are expected to learn your parts exactly like the MP3, giving special attention to the tonal qualities of each instrument. For teamwork to happen effectively, we rely on you to play your part accordingly. Attitude: When ideas or suggestions are presented and received with a good attitude, the results are monumental for effective team building. If there are technical, musical or miscellaneous complications, keep attitudes positive and morale high. Be open to the constructive criticism of the worship leader or band leader. They are trying to pull out every bit of greatness in you they can find, so be patient and receptive of constructive feedback. Punctuality: Everyone’s time is valuable. It’s important that everyone be punctual for rehearsals so that we can use our limited time as efficiently as possible. Arriving early is always a great idea. We are very serious about punctuality. Being on time is a respect issue. Tardiness communicates a lack of respect for your colleagues, for Stillwater Christian Church, and for the Lord. If an unexpected situation arises and you know you will be late, please communicate as quickly as possible with the worship leader. Dress: Stillwater Christian Church has a very relaxed unofficial “dress code.” However, there are a few basic requirements. Shoulders, cleavage, and the mid-section should be completely covered at all times. Skirts are allowed but should come down well below the knee. Shorts of any length and any article of clothing with questionable text or graphics should not be worn. We want everyone’s focus to be on God. Anything that takes focus off of Him is a hindrance to our ultimate goal. Should your choice of clothing not meet this standard, you will not be able to lead until it has been resolved. This decision is up to the pastor or the worship leader. Flexibility: The worship pastor and/or band leader always tries to give adequate notice of schedule or setlist changes. While it is not uncommon for these changes to take place, it is only done when necessary. It is recommended that you periodically check back with Planning Center to view any potential changes. Once you submit your application, the Worship Pastor will contact you to arrange an audition time. He will communicate with you prior to the rehearsal about the song or songs for your audition. Usually we ask that you learn one or two songs from the setlist for that particular weekend. Auditions are, by nature, a little intimidating. We will try to make the process as relaxed as possible. In some cases, it may be evident that an applicant’s skills have not developed enough to serve on a regularly scheduled basis. Should this be the case, those conducting the audition will give some advice on how the applicant can improve. After some time and practice another audition may be scheduled. Before you begin serving on the weekend, we ask that you come and hang out with the worship team during rehearsals for several weeks. There are a few reasons for this. Rehearsals cover a lot of ground in a short amount of time. Being a spectator will allow you to see first-hand how rehearsals flow. When you know what to expect at rehearsal, it will allow you to be better prepared when it is your turn. It may help you to be more relaxed. Playing or singing with a new group of people can cause some to be nervous. Having multiple chances to meet those you will be serving alongside should calm your nerves. An additional step will be to have the staff set up an account for you on www.planningcenteronline.com. This is an online service planning website where band members, songs and service flow are scheduled and posted. It allows worship team members to access chord charts and lyric sheets as well as mp3’s of songs we will be using in worship. After your account is set up and you have access to the resources you need, you’re ready to go. The Worship Pastor is in charge of scheduling vocalists and instrumentalists. The frequency with which you are scheduled will depend on how many applicants are ahead of you and the information you provide on the application (i.e. experience, availability). Take a moment to review the schedule below. This is the normal weekly schedule and commitment expectations for those leading in worship on Sunday. I have read this entire application. I can meet the commitments and requirements expected of a member of the worship team and I want to committ to serving Jesus through this ministry.